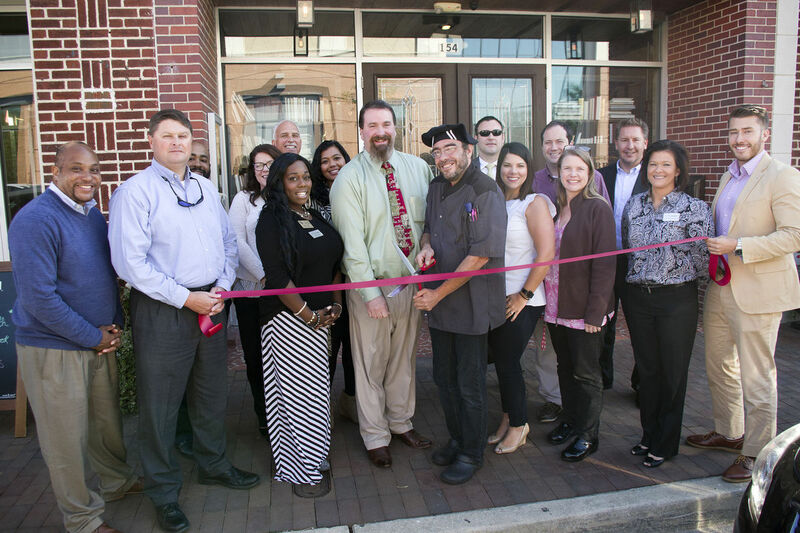 FLORENCE, S.C. — The Library restaurant in downtown Florence hosted a ribbon cutting Thursday morning to celebrate joining the Greater Florence Chamber of Commerce. The Library, at 154 S. Dargan St., has been in operation for several years but recently closed and reopened under the new ownership of chef Adam Silverman in late September. Silverman manages the city’s farmers market and had been running Tracks Cafe at HopeHealth before taking on his role as chef and owner at the Library. According to Silverman, the restaurant’s new menu will feature locally sourced foods and locally themed dishes with exciting and delicious twists. The Library will be open for lunch from 11 a.m. to 2 p.m. Monday through Friday. The bar will open at 4 p.m. Tuesday through Saturday with the kitchen open from 5 to 9 p.m. The bar will remain open as long as there are customers Silverman said, except Saturday when it will close at midnight. To view The Library’s menu, visit the restaurant’s Facebook page at facebook.com/thelibraryflo/. 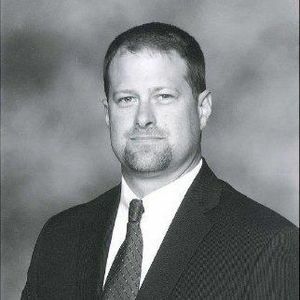 DARLINGTON, S.C. — The Pee Dee Electric Cooperative, Inc. board of directors announced last week that Mike Fuller has accepted the position as chief executive officer. Fuller will begin his new position at Pee Dee Electric Cooperative on November 13th. Fuller has served 24 years in the rural electric program. He is currently the general manager of Consolidated Electric Cooperative in Mexico, Missouri. Prior to his time at Consolidated Electric Cooperative, he worked for Carroll Electric Cooperative in Berryville, Arkansas. He is a graduate of Columbia College with a degree in business administration. He also received an MBA degree from William Woods University. Fuller and his wife, Marla, have two children, Brett and Ashley. Pee Dee Electric Cooperative, Inc. based in Darlington, South Carolina has more than 30,000 services in place serving residents, businesses and industries, and 2,800-plus miles of line in Chesterfield, Darlington, Dillon, Florence, Lee and Marion counties. DILLON, SC (WBTW) – A Chinese-based biotech company will spend $12 million in Dillon to renovate a storage building and create 100 jobs. KB Biotech Solutions, a venture of Chinese-based Anhui Chem-bright Bioengineering Co. Ltd., is launching new manufacturing operations in Dillon County, according to a press release from Governor Henry McMaster’s office. Founded in August 2006, Anhui Chem-bright Bioengineering Co. specializes in biomedicine and the deep processing of agricultural byproducts. Its products are widely used in pharmaceutical raw materials, cosmetics, functional foods and feed additives. KB Biotech Solutions purchased the 55,000-square-foot Polar Cold Storage building located at 1317 East Main Street in Dillon. Hiring for the new positions should begin in the first quarter of 2018. The Coordinating Council for Economic Development has approved job development credits related to this project. 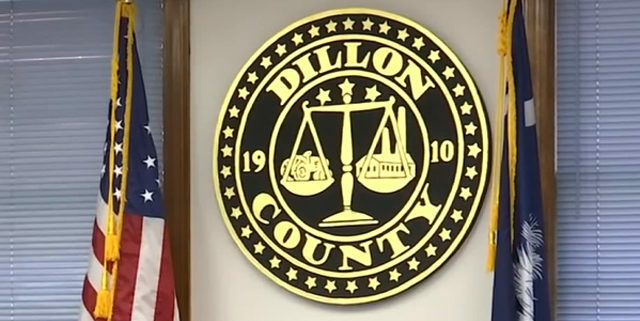 A $150,000 Rural Infrastructure Fund grant was also awarded to Dillon County to assist with the costs of building upfit. FLORENCE, SC (WBTW) – Florence County Council plans to use money left over from the Capital Sales Tax II bond to pay for more road repairs. Each district received $4 million dollars for road improvements in the original bond. So far, on average each district has spent about $1.6 million dollars. Charles Smoot says drainage and potholes are problems on his street. Thursday, Florence County Council approved the second reading of an ordinance to use money left over from the Capital Sales Tax II bonds for more road projects. Florence County Council Chair Kent Caudle says it is legal to use the extra money for road improvements like drainage, repaving, or paving. “It affects people every day. It affects councilman as well as the other citizens. Some of us live on dirt roads not all of us but some of us do,” said Caudle. Since many of the original projects are not the complete council, does not know exactly how much money it will have to spend. Ordinance documents list more than 100 additional roads , including Cumberland Drive, where Smoot has lived for 45 years. “I thank God that we are getting it done. They repaved all the streets around us. We were getting kind of concerned saying ‘where why did they leave us off?’,” said Smoot. Smoot says he is happy with the county’s progress. “I’m here because I want to be. I want to see it grow. I want to see improvements,” said Smoot. Council will have a third and final reading of the ordinance next month. 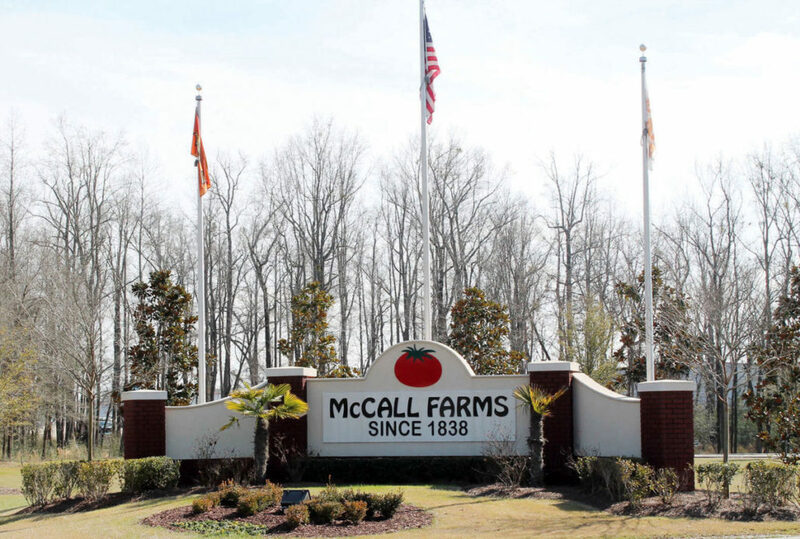 Last month McCall Farms announced its acquisition of Sager Creek Vegetable Company, a division of the San Francisco-based Del Monte Foods Inc. Popular Sager Creek brands include Allens, Veg-all, Popeye, Princella, Freshlike and Trappey’s. The council’s approval of the tax-agreement ordinance on Thursday came on the second reading; it will go to a third vote at next month’s council meeting. You might want to make plans to attend the Greater Florence Chamber’s Annual Membership Luncheon on Wednesday, November 15th at the Florence Civic Center. This years speaker will be Lynn Good, Chairman, President and Chief Executive Officer of Duke Energy – one of America’s largest electric power companies. If you want to know more about our future energy resources and hear a powerful business message, find a way to attend this event. The program starts at noon. 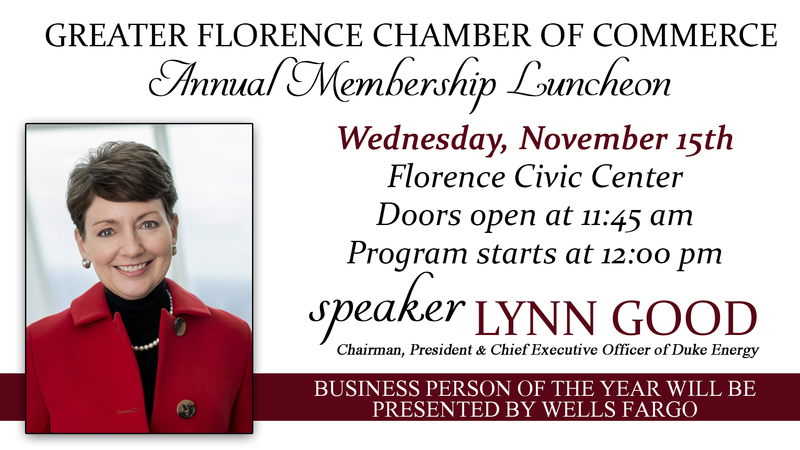 Click here to purchase tickets for this event https://www.flochamber.com/event/annual-membership-luncheon/ or call 843-665-0515. 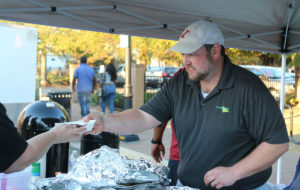 FLORENCE, S.C. – Smoky smells wafted through downtown Florence on Friday evening as cooking teams participated in the fourth annual Kickin’ Chicken Wings and Chili Festival. The festival is held by the Greater Florence Chamber of Commerce. Mike Miller, Greater Florence Chamber president, said the festival is a fun, different downtown event. The festival brings in local businesses to compete in a cook-off, and many businesses are not in the food industry. This year, there were 12 wing competitors and 12 chili competitors. Duke Energy won first place in the chili competition, and The Carolinian won second place. Carolina Fresh Foods won first place in the wing competition. Performance Food Service won second place, and Otis Elevator won third place. Keith Tokar, an engineer at Otis Elevator, said his cooking team bonds during the preparation process. Leading up to the event, they spend a few weekends together experimenting with different recipes. Cordy Williamson, a member of the Duke Energy team, said his team loves to cook for the company and for the competition. Williamson said the team’s chili simmered all day Friday, but the pleasure of seeing others enjoy their food was worth the work. “I like the expressions on peoples’ faces when they taste it,” Williamson said. However, more than good food, Tokar and Williamson said, their teams enjoy getting involved in the community and supporting the Greater Florence Chamber of Commerce. There were 15 judges for the wing competition and six judges for the chili competition. The names of the winners were announced toward the end of the evening. Speakeasy also performed at the festival on an outdoor stage. People mingled, danced and listened to live music. FLORENCE, S.C. – For Paul Beard, work in entertainment management is more than a career. It’s a way of life. 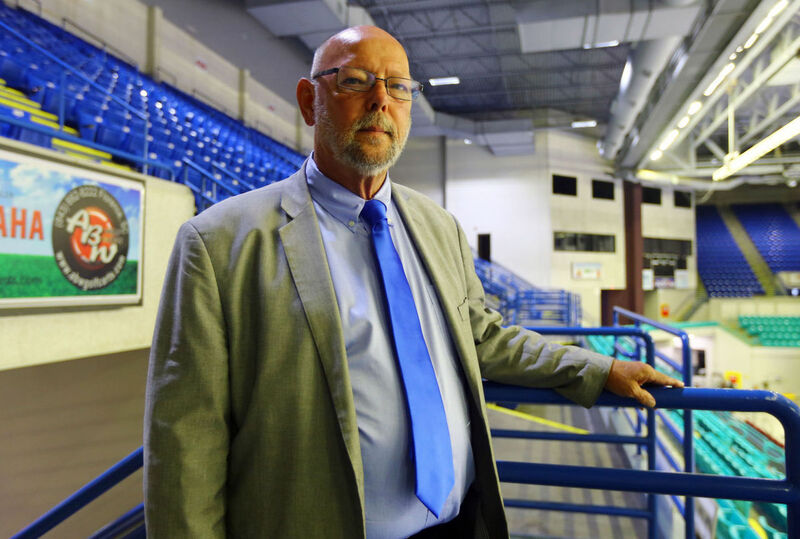 Beard, the former director of operations for the Florence Civic Center, recently was chosen to move the venue into the future as its new general manager, and he didn’t waste a second getting started. He’s already established an “energetic, tireless” sales team that focuses on the future of the Civic Center as both an entertainment complex and a true convention center. He also has a vison of the venue promoting its own events more often. This could include different takes on the kid’s jamboree, the Pee Dee Deer Classic and other local specialty events. Beard has more than 30 years’ professional experience in the industry, including tour management and leadership spots at multiple arenas and conference centers. He also spent some time working for Ringling Bros. and Barnum & Bailey’s Circus in New York, not as a clown, though he is adept at juggling many complex tasks at once. Beard has been a part of the organization for years and stepped up as interim general manager approximately three months ago when the Civic Center’s former general manager, Kendall Wall, left the center for a larger market. The 60-year-old entertainment industry veteran takes over in the middle of a $16 million expansion to the center, which is expected to open the venue to larger, true convention style events. Beard said the civic center quickly is becoming a more versatile venue, and that calls for an ability to sell the space on multiple fronts and pull the center out of a struggle facing many small markets. 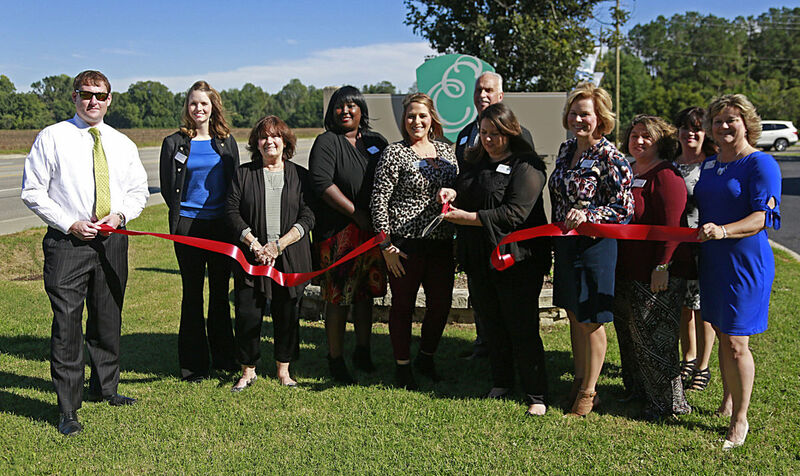 FLORENCE, S.C. — The Elmcroft Senior Living Community introduced its newly renovated facility on 3006 Hoffmeyer Road with an open house and ribbon-cutting celebration Tuesday afternoon. Ambassadors with the Greater Florence Chamber of Commerce joined Elmcroft executives in the celebration, which featured music, food, beverages and a tour of the building. Kristie Kronk, senior vice president of operations at Elmcroft, said the renovations were the first for the building in more than a decade and included updates in 45 apartments, new carpeting and flooring, paint, furniture and window treatments. Kronk said many of the 72 residents had a voice in what happened with the renovations, which took approximately three months to complete and cost roughly $325,000. Elmcroft Senior Living offers services and amenities for seniors who need assisted living as well as adults with Alzheimer’s disease or related dementias. For more information about Elmcroft Senior Living in Florence, call 843-292-0012 or visit http://www.elmcroft.com/community/elmcroft-of-florence-sc/. McLeod Health and the City of Florence have once again partnered to raise awareness of breast cancer and physical activity through the McLeod for Health Florence Open benefitting Susan G. Komen South Carolina. Now in its sixth year, Florence’s only professional tennis tournament is being held this week through October 22, at the Dr. Eddie Floyd Tennis Center. The Florence Open tournament formed an alliance in 2014 with McLeod Health and Susan G. Komen South Carolina to help support the fight against breast cancer in the region. McLeod Health, the tournament’s presenting sponsor, is deeply committed to the early identification and treatment of breast cancer, and Susan G. Komen South Carolina has provided significant funding to regional programs, including grants totaling more than $400,000 dollars to support breast cancer programs and patients at McLeod Health. Among other things, these grants have been used for mammograms, follow-up diagnostic procedures, patient navigation services, and survivor support services, including transportation. In May of 2017, representatives with the McLeod for Health Florence Open presented its 2016 profits — a total of $12,704.09 — to Susan G. Komen South Carolina to help fight breast cancer in the northeastern region of South Carolina. Over the last three years, the McLeod for Health Florence Open has raised more than $27,000 for Komen South Carolina. Florence, one of the smallest cities on the circuit, was selected to host an event because of its world-class courts, its strong volunteer base, and the generosity of its sponsors. This nine-day tournament puts Florence on the world tennis map and generates significant tourism revenues for our community. The McLeod for Health Florence Open will draw some of the best young professional players from around the world to compete for $25,000 in prize money and higher rankings. Net profits from the event will again go to Komen South Carolina, which covers 12 of the South Carolina counties served by McLeod Health. The Florence Open will feature a 64-draw qualifying round, a 32-draw main round and a pro-am event. There will be feature matches at noon on Monday through Friday. The singles semifinals and the doubles finals are scheduled for Saturday the 21st and the singles finals will be held on Sunday the 22nd. Community Day on Sunday the 22nd will feature a cookout, an exhibition match by the Francis Marion University tennis teams, a Junior and Adult “Hit and Get” for players of all skill levels with prizes provided by Wilson Sporting Goods, Junior Play Day and a reunion of the Adult Tennis Apprentice Alumni. Community Day activities will kick off at noon, the singles final will begin at 1:00 p.m., and the other activities will be going on all day. With more than 90 tournaments held annually throughout the country, the United States Tennis Association Pro Circuit is the pathway to the U.S. Open and tour-level competition for aspiring tennis players and a frequent battleground for established professionals. The largest developmental tennis circuit in the world, it draws more than 1,000 men and women each year from more than 70 countries to compete in cities nationwide. Virtually all of the best known pros began their careers on the USTA Pro Circuit, and so did some of the sport’s top new players like Americans Grace Min, CiCi Bellis and Taylor Townsend. “The goals are to bring world class tennis to Florence, to create a genuine community event that emphasizes health, fitness, and breast cancer awareness, and to raise funds that will enable us to make a significant donation to an excellent cause. This will be great tennis for a great cause,” added Tournament Director Rob Hill. Admission during the tournament is free, but attendees will be offered the opportunity to donate directly to Komen South Carolina.